Made of Artificial Leather, high quality and comfortable to wear, tailor-made, fit you best. 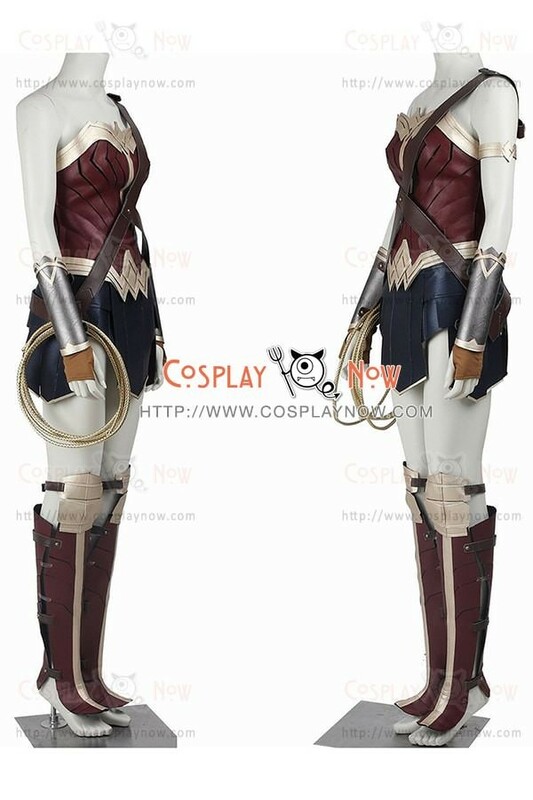 The costumes are both accurate designed, exquisite in details, made according to the original version, great for Batman v Superman Dawn Of Justice Diana Prince Wonder Woman Cosplay. 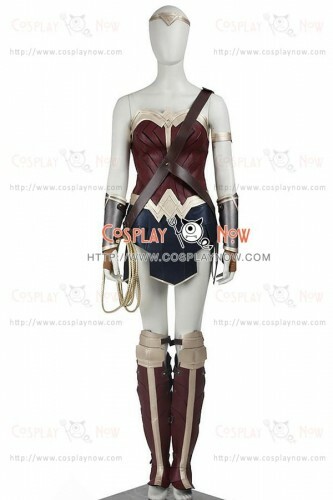 Wonder Woman is a fictional character appearing in American comic books published by DC Comics. 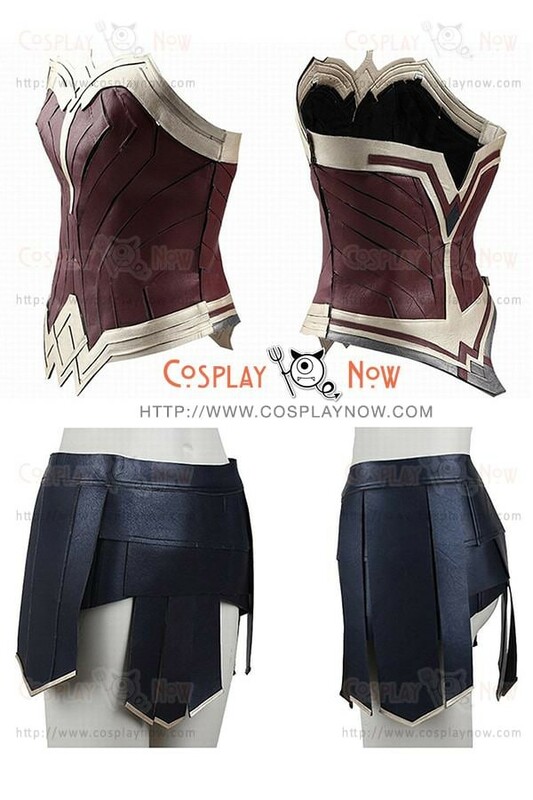 The character is a demigoddess and warrior princess of the Amazons (which are based on the Amazons of Greek mythology) and is known in her homeland as Princess Diana of Themyscira. When outside her homeland she is known by the secret identity Diana Prince, a United States government agent for the Department of Metahuman Affairs. 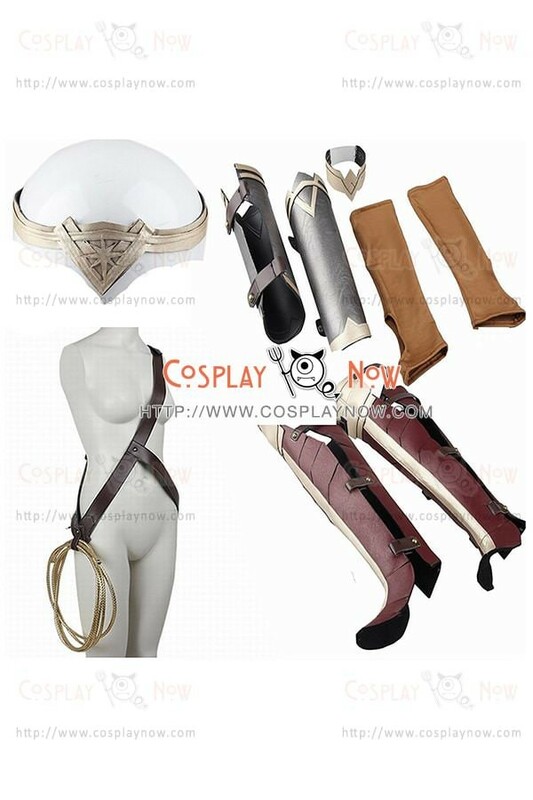 Pay attention please: This costume does not include the Boots, if you need the Boots, your need to add $60 to buy them. Please contact with us to buy the boots. Thank you in advance.